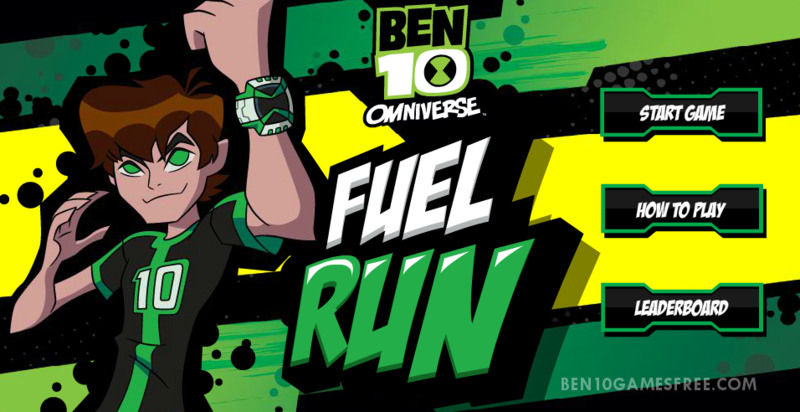 The Fight is still on against the Enemy Aliens, but this time you have to help Ben to fight for the survival of his friends in this new game – Ben 10 Fuel Run. The time has already started ticking and you have to beat it with your Gaming Skills. In Ben 10 Fuel Run, the last hope of survival for the captain of the ship is the Omnitrix. Ben as a new character called Portaler has to collect all the Omnitrix to get the spaceship fly away from the Blackhole. Collect all the Omnitrix before the time goes up and help the Captain to fuel the Spaceship and fly away from the Blackhole. Recommended: Play Ben 10 Alien Force Games online for now! During the gameplay, you have to face the monsters, but don’t worry you can kill them with your rolling speed. While playing the game you have to be very careful about the rolling speed mainly when you are transformed into the Alien and at the same, keep your eyes open so that you cannot miss any Omnitrix. The Omnitrix’s are very important to fuel the spaceship out of the Blackhole. On the topmost left side of the game screen, it is mentioned how much Omnitrix you have to collect. Pro Tip: Follow the Green Arrows to have the better Idea of the track that you have to follow. Only Omnitrix can save the Spaceship from the Blackhole. Planned your Run and fuel yourself for the next Bumpy Ride! Don’t Forget to give your rating for Ben 10 Fuel Run game and share your tips and tricks to win this game in the comments section below.